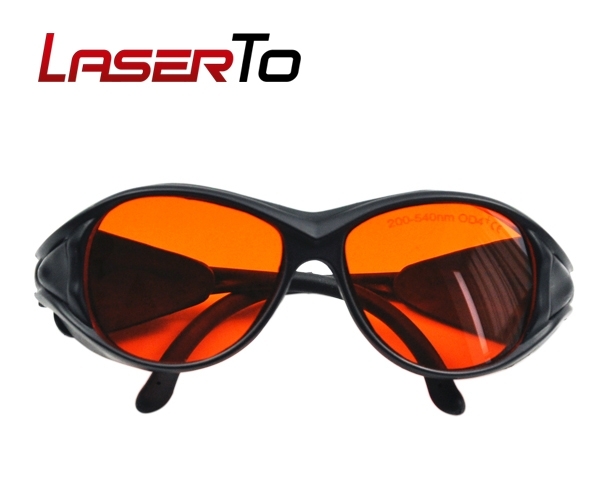 Orange lens laser safety goggles are CE certified and available to protect eyes from hazardous reflection and scattered high power laser light radiation of UV, blue violet, blue, and green laser light with wavelength range of 200nm-540nm. 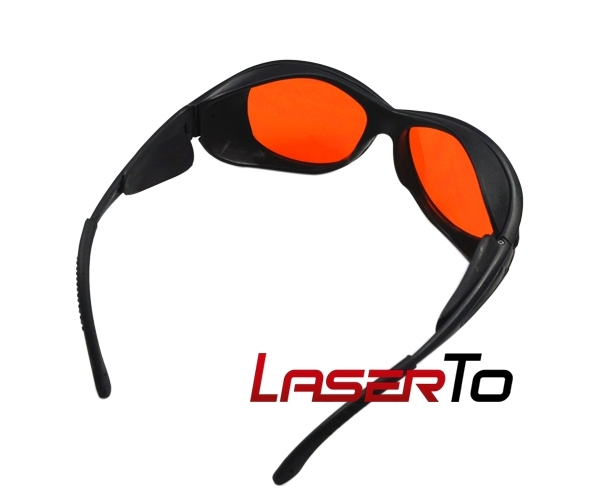 The orange lens laser safety goggles is applicable for UV, blue violet, blue, and green laser pointer with wavelength range from 200nm-540nm. 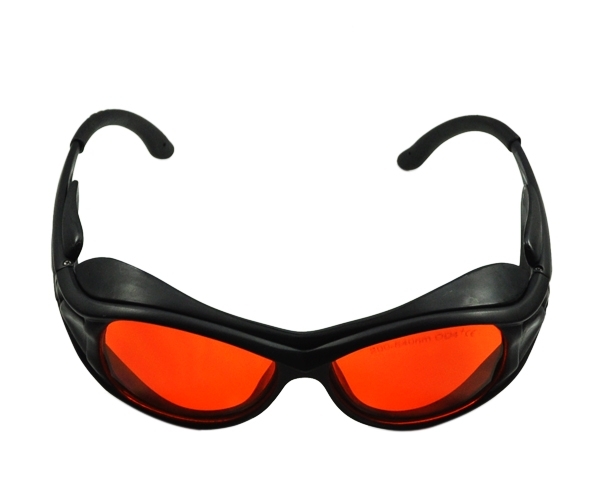 Broad Spectrum Continuous Absorption Laser Safety Goggles consists of PC and Australian imported special wavelength light absorption material, to form a high efficient exposure-proof laser protection glasses. ● No choice of light source and incident angle. This laser safety goggles provides secured protection from all diffuse reflection light. Top and Side shield Protection prevents hazardous radiation from all special wavelength lasers and powerful lights. ● Fast light reaction and high attenuance. ● Laser protection glasses combined with comfortable frame style performance safely and comfortably. ● Security properties meeting all the requests of the standard of European CE certified EN 207 compliant. 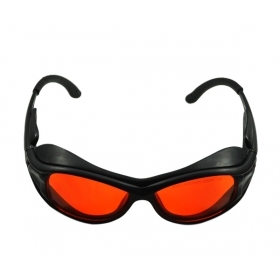 This laser safety goggles also has a perfect shield to dazzling white light in laser operation. 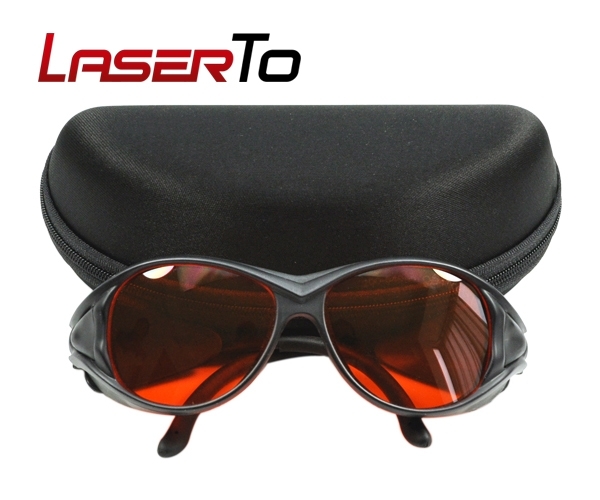 When not being used, the laser safety glasses should be stored in their protective case and in an area where the temperature does not exceed 80 °F (26.6°C). The laser safety glasses can be cleaned using 91% isopropyl alcohol and wiped with a cotton swab.